Each single bond is worth 5$ to buy from the store and when redeemed, it is worth 5$ as well of course. The table above shows how many bonds are needed to reach the next level of your Donation Status. ALSO NOTE: Other purchases from the Web-store will also increase your Donation Status! ::yell - Let's you broadcast messages across the server. ::renderemote - Do all the emotes you can! and more to find out! Please take note that the Donation Ranks have changed and takes effect as of December 28, 2018. 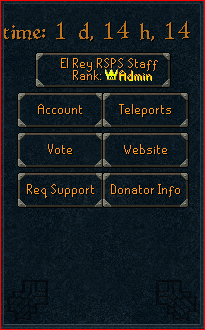 If you currently had a certain Donation Rank/Title you will not drastically drop from your current rank. This is a change for the foreseeable future of this Server and will not change if ever again. ! ! ALSO ! ! If anyone has any comments, questions, issues, etc reguarding their Donation Rank AFTER these changes have been made please contact me in-game or via PM and it will be taken care of personally by myself.